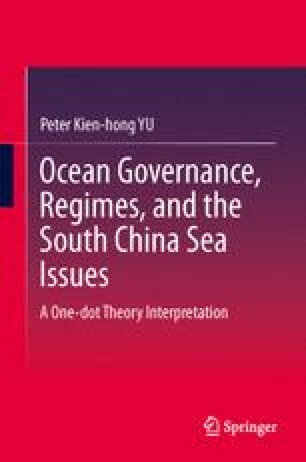 Whether or not the sovereignty issue can be shelved, solved, or resolved, due to the fact that each international regime transcends national boundary, the six, multiple claimants of the South China Sea (SCS), if not including outsiders, will have to learn to form, maintain, and sustain a series of regimes to benefit all the parties here and there. However, it is easy to form a certain regime, and it is more difficult to maintain and sustain a series of SCS regimes because the formation of a regime is only in your mind and heart, or you can feel the urgency of it. This chapter analyzes some obstacles (and issues) in terms of two major categories during the regime formation process. We can pose several important questions. Do all the claimants understand the very abstract term, international regimes? Would the regimes be imposed? Would there be hegemon(s) in the SCS? If so, which country or multiple entities should it/they be? Would the Southeast Asian claimants try to first resolve some 30 territorial disputes in other parts of the world? What would be the outcome of having international regimes in the SCS? Can the regime experience elsewhere be applied to the SCS? Would the SCS regimes also be fragile, retarded, derailed, violated, and failed? Last but not least, what are some of the problems regarding Mark J. Valencia’s ideal model of having regimes for Northeast Asia?